Build Your Own 370Z Part 3:THe Body Kit! 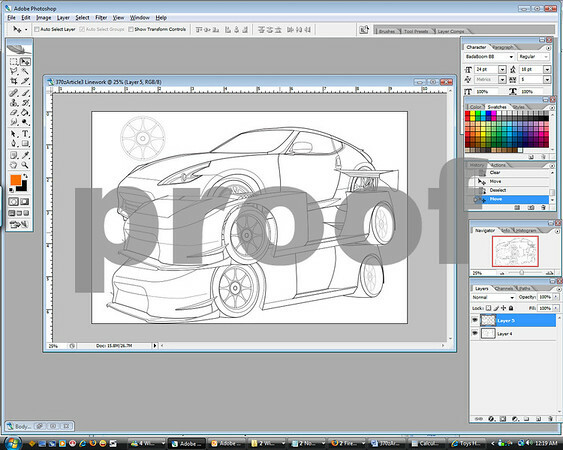 370z Article 3:Adding your Aero Kit! 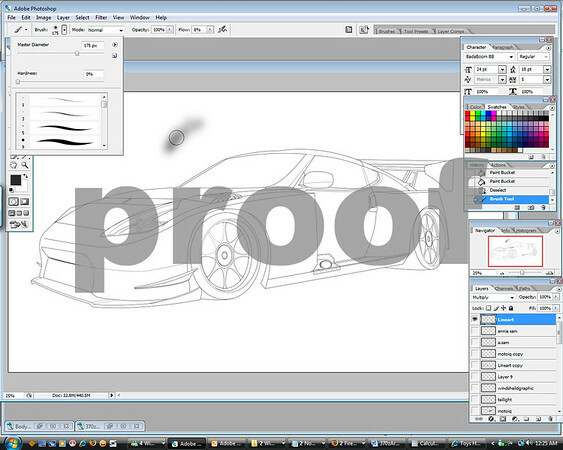 After sketching up the body kit, I traced it up with the PENTOOL in Adobe Illustrator. As you can see, the body kit has raised wheel wells compared to the stock ones. 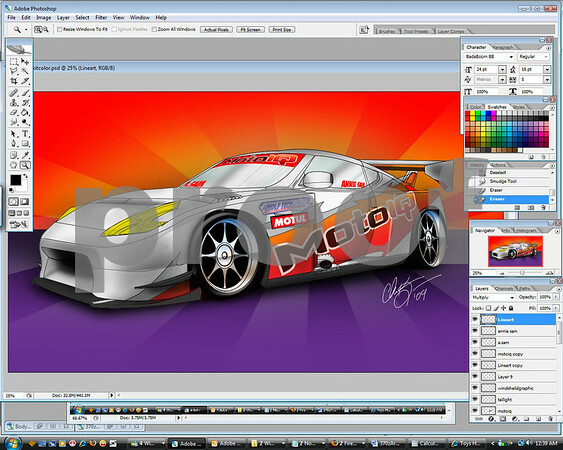 This was necessary to give it a more JGTC look suggested my Nissan Genius Mike Kojima. I also added a splitter and wide flared fenders for that awesome wide wheel look. Louvers for the front fender flairs added a nice touch as well. Now that we have the design, I saved it and opened it up in Adobe Photoshop. I selected the body kit drawing and copy/pasted it so it would automatically create another layer. We are now ready to color. I played it safe and gave it a base of white. After adding the base of white, I went ahead and shaded the darker areas by using the brush tool on your toolbar and bringing down the pressure to about 8% and hardness to 0. The size will vary depending on what you are shading. 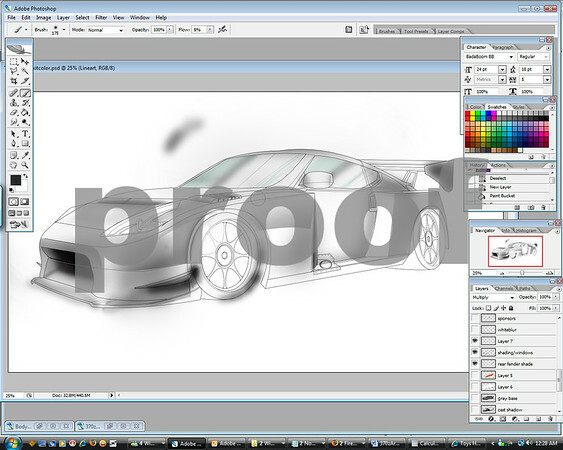 I also started to make the windshield more realistic with some detail. Now, time for the details. I colored in the trim and splitter. I gave the wheels a little polished look to give it a more realism. Other stuff I colored in like the yellow headlights, etc. 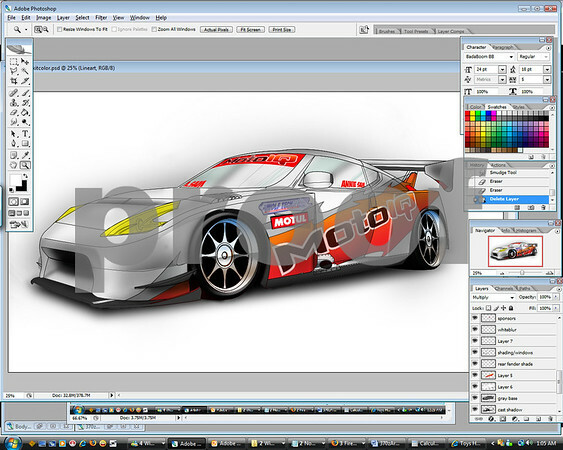 Now, adding the sponsor decals to make the car more official. 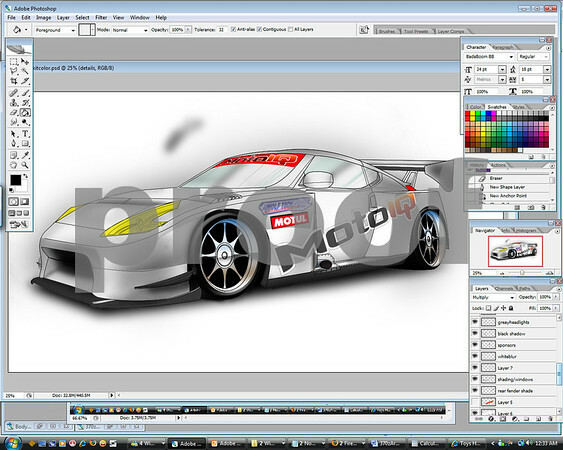 I then added a race graphic I drew up really quick for that flair. One more thing I forgot, our Ace Driver’s name Annie Sam! Now to finish the drawing/painting with a back ground. Last touch by any arteest, the signature. BAM! There ya go. 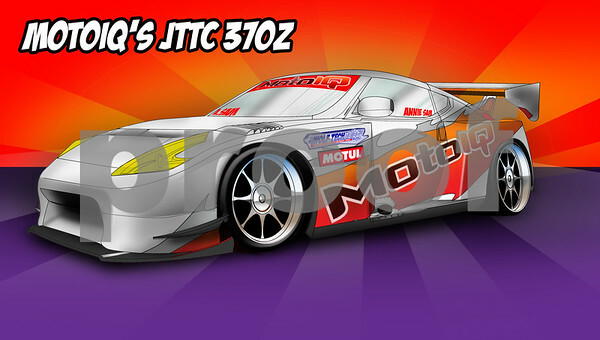 Your built 370Z ready for some JGTC action!